EDIT: I quit making the liquid laundry detergent some time ago. I switched to this creamy detergent… still homemade, and still the same basic ingredients. Then I switched again! Now I use the same ingredients… but it’s powder, so prep time is quite a bit less. I found the recipe here. Really, there’s a zillion of these recipes out there. You can even add these scented laundry bead thingys, but I prefer my laundry to smell like clean cloth, not froofy flowers or some such scent. 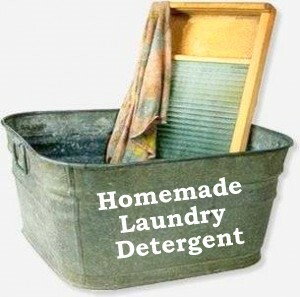 Have you made your own laundry detergent?